This is perfect December weather for a warm and delicious meal at The Melting Pot in Irvine. It’s really close to The Carlyle at Colton Plaza too. TMP has taken the fondue category to a new level of gourmet. From ravioli to filet mignon, they’ve got an option for everyone. Their entrées are cooked at the table in one of their four premium cooking styles and are served with seasonal vegetables and signature dipping sauces. 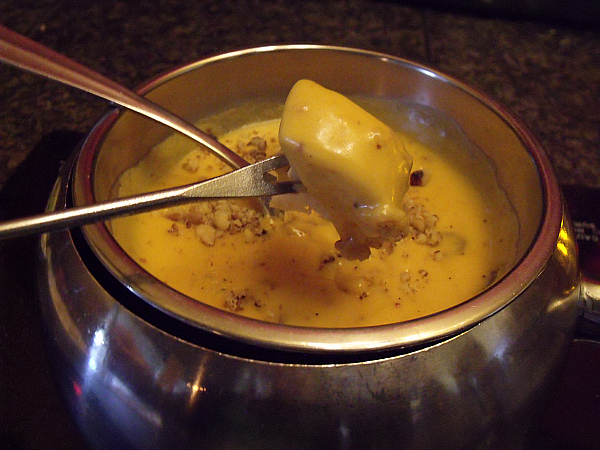 Their creamy cheese fondues are prepared tableside. Each cheese is served with artisan breads and seasonal vegetables for dipping. When you feel like something sweet, you’ll love the chocolate fondue for dessert. There’s even a gluten-free menu. CLICK HERE to find out more.